Have you suffered a work injury in Illinois? Are you looking to file an Illinois Workers Compensation Claim? Two fires – one in 1909 in a Cherry, Illinois, coal mine that killed 259 men and boys, the other the more infamous 1911 Triangle Shirtwaist Factory fire in New York City that took the lives of 146 people, mostly women and girls – led to the enactment of workers’ compensation laws nationwide. Illinois was one of the first states to enact a workers’ compensation law in 1912, bested only by its neighbor to the north, Wisconsin, which passed the first such law in 1911. Unfortunately, accidents continue to happen in the workplace. Now, however, workers have some protection. According to statistics from the Illinois Workers’ Compensation Commission, approximately 250,000 work-related accidents occur each year, although this year, Illinois ranked highest among U.S. states for workplace safety, according to the National Safety Council. While most incidents don’t lead to lost time from work, approximately 60,000 claims are filed with the Illinois Workers Compensation Commission each year. 1. Filing a Workers’ Comp Claim for Overexertion? 7. Were You Injured in a Highway Incident While Working? 16. Did You Develop an Occupational Disease on the Job? Does Workers’ Compensation Cover Independent Contractors? Does Workers’ Compensation Pay for Lost Wages? Does Workers’ Compensation Count as Income? Does Workers’ Compensation Cover Pain and Suffering? Can I File Workers’ Compensation for Carpal Tunnel? How Much Will Workers’ Compensation Pay? How Much Does Workers’ Compensation Pay in Illinois? Can Workers’ Compensation Deny Surgery? 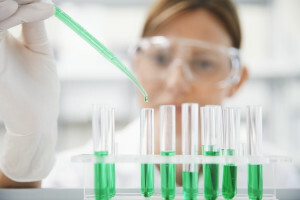 Can Workers’ Compensation Drug Test Me? Can Workers’ Compensation Be Denied? Can Workers’ Compensation Stop Payments? How Do I Fight a Workers’ Compensation Claim? Should I Hire a Lawyer for Workers’ Compensation? Does a Workers’ Compensation Settlement Get Taxed? Does Workers’ Compensation Settlement Affect Social Security? Does Workers’ Compensation Settlement Affect Unemployment? Can You Get Workers’ Compensation for a Back Injury? Can You Lose Your Job While on Workers’ Compensation? How Long Do You Have to Sue an Employer for Workers’ Compensation in Illinois? Do You Get a Settlement From Workers Compensation? I got Injured at Work. Can I Sue? Can I Sue My Employer for Negligence? Can an Employer Deny a Workers’ Compensation Claim? How much are workers’ compensation lawyer fees in Illinois? Most important questions to ask a workers’ compensation lawyer? Where can I find free workers’ compensation advice? Do You Need a Work Injury Attorney For Your Illinois Workers Compensation Claim? Illinois is a no-fault state, which means that even if an injury occurs due to a worker’s own negligence, he or she still has the right to file a claim for their injuries. That caveat allowing for claims to be filed even if the worker is at fault, however, could be the reason that premiums for workers compensation insurance in Illinois are the third-highest in the United States. Only Montana and Alaska having higher numbers, according to a 2010 study from the Oregon Department of Consumer and Business Services. According to a story appearing in the Chicago Tribune, the average cost of Illinois workers’ compensation claims was just over $15,000, and in 30 percent of all cases, time lost from work was more than seven days, a time span that is higher than in most other states. Inflammation (swelling and pain at the site of an injury) was the most common cause of lost days from work, with an average of 91 missed days, followed by fractures, which caused an average of 78 lost work days. Strains and sprains were third, and both averaged 57 lost work days. Multiple trauma, which averaged about $50,000 per claim. Accidental Injuries. These are injuries that occur either as a result of a single accident that occurs “out of an in the course of employment” (a fall that injures a leg or an item falling from a shelf, resulting in head and/or brain injury) or gradual trauma (such as injuries caused by repetitive use of the hands, causing carpal tunnel syndrome). Occupational Diseases. Diseases caused by exposure to toxic substances at the workplace or illnesses that are aggravated as a result of exposure to toxins during work are both covered under Illinois Workers’ Compensation Act regulations. Acts of God (lightning strikes, flooding, and other natural disasters), workplace assaults (unless they are the result of workplace violence) and injuries sustained while an employee is under the influence of drugs or alcohol are not covered under Illinois law. If you are injured at work, it’s important to take certain steps in order to help ensure that you receive the workers’ compensation benefits you’re entitled to if that injury results in medical bills, lost wages and other expenses. Report the injury. The law requires employees to report injuries to their employers within 45 days, and occupational diseases as soon as they are made aware of the work-related illness. Seek medical attention. The law allows an employee to seek medical care from the emergency services and two doctors of his or her choice at the employer’s expense. Doctor referrals are also covered. Keep a notebook of the injury and treatment. Because memories fade (and workers’ comp cases may take several years to make it to court) it’s important to track information to serve as a memory bank. Information on all the doctors who treated you, including names, dates of treatment, contact information, etc. Any other information related to your potential claim. Being proactive will help your attorney – if you have been injured and don’t have an attorney, it’s important to find experienced representation given the complexity of workers’ compensation insurance laws – better make a case for your claim so you’ll receive the funds you need to cover the costs associated with your injury. 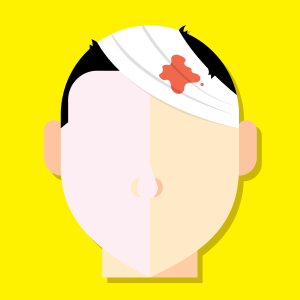 Here’s a look at the top 20 causes of workers compensation injuries in Illinois. Overexertion injuries happen when a worker lifts, pulls, pushes or throws something in a way that the action forces a joint past its regular range of motion, leading to an injury. About 25 percent of all workplace injuries are the result of overexertion and include pulled muscles, sprains or strains, including stretching or tearing of tendons or muscles, mostly occurring when workers’ jobs demand heavy lifting or reaching at a fast pace on a regular basis. 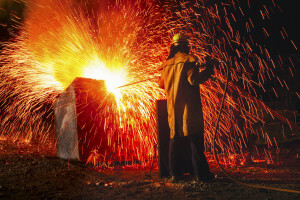 Overexertion injuries are the most common of workplace injuries, and happen most often in factory or construction settings – think mechanics, welders, heavy equipment operators, machinists and other jobs that are tough on workers’ bodies. Police officers are also at a high risk of overexertion injuries. The body parts most vulnerable to overexertion include the lower back, wrists, ankles, knees, neck, groin and shoulders, and such injuries can be acute, which means they occur when making a single wrong move, or chronic, caused by long-term stress on a muscle or tendon. Aging, poor physical condition and being overweight are all factors that can put workers at a higher risk for overexertion-related injuries. High temperatures, which can cause dehydration, cramps, heat exhaustion and heat stroke, all of which make the body more vulnerable to injury. Fatigue, which creates an environment where workers fail to properly assess their strength or endurance levels. Stress, which can act as a distraction, leading to potential injuries. While most companies have safety procedures in place (including proper lifting techniques such as “bend your knees, not your back”) and hazardous working situations are more closely monitored and identified, injuries can still happen. Overexertion injuries cost approximately $15.5 million a year in Illinois, according to recent statistics. Given that winter weather can last for months in Illinois, it comes as no surprise that slips and falls from the same level, especially on icy or snow-covered walkways, are among the most common of workplace-related injuries in the state. In addition to sidewalks, entryways and walkways made dangerous by ice and snow, wet floors in stores or restaurants (either caused by boots leaving behind melted snow or freshly-mopped floors – are also a hazard for many workers. Those who slip and fall, either at work or while doing a job on property that is not owned by the employer, may be eligible for workers’ compensation benefits. Injuries sustained can include head injuries, spinal injuries, back injuries, knee injuries and sprains and strains that could include neck injuries. According to statistics, the cost of workplaces falls is approximately $70 billion per year in both health care costs and workers’ compensation. Those who file a workers’ compensation claim for slip and fall injuries must prove negligence in order to recover damages. If you were injured as a result of a fall at work and are worried about how you’ll pay your medical bills, you may want to seek out the advice of an Illinois attorney with experience in workers’ comp cases to determine if you should file a claim. Falls to a lower level are usually the result of a worker falling off a latter, down a flight of stairs or off a roof while performing some type of work-related activity. In July 2017, a 33-year-old stuntman from the AMC show “The Walking Dead” died when he fell 25 feet from a balcony to a concrete floor, sustaining serious head injuries. Those at the highest risk of such injuries include roofers, who tumble from roofs, construction workers who fall from one level to another on a job site or slip off ladders, and teachers who fall down flights of stairs are all at a high risk of injury from falling to a lower level. Older construction, faulty, poorly maintained ladders or improperly installed scaffolding can all be risk factors for workplace falls. Sprains, strains, and tears. Potential injuries in a fall could include a sprained or broken ankle, pulled muscles, torn ligaments or head or neck injuries such as whiplash, which occurs when the muscles of the neck are stretched. Head injuries. A fall at work can cause a person to hit his or her head on a solid object such as a piece of furniture or the floor, potentially resulting in brain injury including lifelong damage. Knee and leg injuries. A fall can lead to a broken kneecap or leg, torn ligaments, nerve damage or shattered bones. Back injuries. Falling can lead to chronic back pain, paralysis or something in between if the landing results in fractured or broken vertebrae, herniated discs or some other serious injury. Damage to internal organs. Falls can lead to kidney or lung damage. If you’ve suffered an injury after falling at work, it’s important to contact an experienced attorney to help you through the process and help you get the compensation you deserve. In Chicago, where delivery drivers are on the road with packages to drop off, bodily reaction injuries are fairly common workers’ compensation claims. Not only do they face tight deadlines, but they also are forced to contend with unreliable weather such as snow, sleet, and ice, all of which make sidewalks slippery and tricky to safely maneuver. 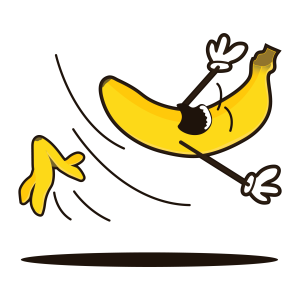 Bodily injuries occur when a person trips or slips but catches themselves before they fall. There can still be resulting injuries, such as twisted or sprained ankles, fractured wrists, and pulled muscles. While police officers and nurses – both occupations that keep workers on the move – are at a high risk of bodily reaction injuries, delivery drivers likely top the list of those at risk of this particular injury. Because they are juggling packages as they traverse tricky terrain, they are more likely to sustain serious injuries as they catch themselves and their packages before they fall. According to statistics from the Bureau of Labor, almost half – an estimated 41 percent – of all injuries suffered by delivery drivers are either the result of overexertion or bodily reaction, caused by lifting heavy boxes and packages, which can easily slip out of a person’s grip, forcing them to attempt to catch the package. Bodily reaction injuries cannot be predicted or prevented, although guides can be put into place regarding safe lifting practices in the case of delivery drivers who lift packages, and nurses, who often lift patients. If you sustained a bodily reaction injury at work, it’s important to contact an attorney with experience in Illinois workers’ compensation laws in order to get you the compensation you’ll need to cover the expenses associated with your injury, including medical expenses, rehabilitation, long-term care and lost wages. If the injury occurred due to the negligence of someone else – a business failed to clear their sidewalk of ice, for example, causing the near slip – you may also be able to file a claim against the business owner for negligence, potentially collecting compensation for medical expenses not covered by workers’ comp as well as pain and suffering. The right attorney will help you determine the right course of action for you. Office workers, employees in retail and restaurant workers are all at a higher risk of being hit by a falling object, most often when something falls off a shelf, either when the injured worker or a co-worker is attempting to retrieve it. In addition to being hit by falling objects, the broad workers’ comp category also includes being hit by objects another worker drops, being struck by moving or rolling objects, being struck by a flying object (such as particles from machinery in a factory setting) or being struck by a swinging door or gate, which can happen nearly anywhere. Still, some jobs have a higher risk factor than others, and farmers, truckers, factory workers, carpenters, loggers, and construction workers also face a bigger risk of being struck by an object at work. One unique element for those who often work at various job sites – construction workers, farmers and loggers, for example – is that in addition to being able to file a workers’ compensation claim, they may also be eligible to file a civil suit against the owners of the property under the Illinois’ Premises Liability Act, which makes property owners responsible for accidents that occur on the property, especially so if there is no warning of hazardous conditions. If you were struck by an object and injured at work, you may be entitled to file an Illinois Workers’ Compensation claim. To find out more information consult an experienced workers comp lawyer who can guide you through the process. While falling objects can be a risk factor at work, so can falling into or being pushed against something, which happens when a worker is forced into a bookshelf, a barricade or some other stationary object, when a worker steps on something, such as a nail, or when a worker bumps into something, which can occur if the worker is distracted by something and doesn’t see the object. According to the National Safety Council, struck by and struck against injuries are the second leading cause of unintentional non-fatal injuries and the fourth leading cause of work-related deaths in the country. The numbers for such injuries are high in Illinois, where many of the riskiest jobs are prominent. Workers can be pushed against shelves, desks, dangerous machinery, heavy equipment, roadside barriers, farming equipment and other stationary objects such as overhead pipes, or moving objects including vehicles or another person. Such incidents run the risk of a wide range of potential injuries. If your “struck against an object” injury occurred at work or while you were at a job site doing work for your employer, you will be eligible to file a workers’ compensation claim. If you are confused about the process, an experienced Illinois attorney can help guide you through the workers’ compensation laws, helping to secure you the best possible settlement to your claim. In some cases, such as incidents involving being hit by a car while on the job, can also include a personal injury claim, so do your homework to find a work comp lawyer with experience in both areas. Anyone who travels as part of their job – truck drivers, taxi drivers, police officers, couriers, members of the fire department, salespeople or those who travel for business –is at risk of a highway-related workplace accident. Anyone who works on the highway itself such as highway workers, road construction workers, and flag operators are also vulnerable to injuries on the job, whether due to traffic, contact with hazardous materials or injuries related to heavy equipment. In Illinois, toll booth workers, common in only a handful of states, are also at risk of highway-related workplace injuries due to the locations of tollbooths. In 2009, a Chicago highway construction worker was injured and filed a workers’ comp claim when he was hit by a drunk driver in a work zone, an incident that pinned the worker between two vehicles, breaking both his legs. A few years later, a truck driver who was injured after fainting behind the wheel was awarded workers’ compensation for the injuries he sustained in the accident, although he had to appeal an arbitrator’s initial decision to reject the claim because the accident was caused in part by the truck driver’s physical condition. 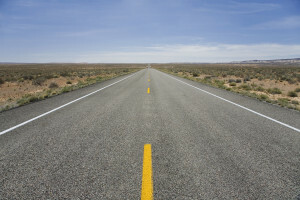 In reversing the decision, the Illinois Worker’s Compensation Commission determined that the driver, who attempted to pull off the road as soon as he felt faint, had done all he could to prevent the accident, which occurred, they said, because the truck driver’s job put him at a significantly higher risk of injury. 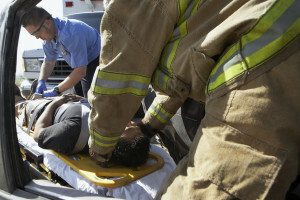 If you were injured in a highway accident while on the job and were either denied a claim or want to file a claim, an experienced Chicago, Illinois workers’ compensation law firm can not only guide you through the complicated process, but can also make sure you receive all of the benefits that your employer’s insurer owes you for your accident. In 2008, an Illinois man was killed when his head was caught in a steel processing machine at a Schaumburg-based metal distribution plant. The 28-year-old man’s accident resulted in fatal head injuries. There are many occupations that involve the use of machinery, and when those machines are not used or maintained properly or are not equipped with warning labels or instructions for safe use, there is a higher risk of injury. An arm can easily become crushed in a piece of equipment if a worker isn’t careful, and some injuries can be fatal. While training is usually required before workers are allowed to operate certain pieces of equipment, accidents do happen, and the costs can be significant. In Illinois, in order to ensure that you receive all the workers’ compensation benefits you’re entitled to, it’s a good idea to contact an experienced workers’ comp attorney who can help you best explore your legal options for the best possible outcome. In addition to workers’ compensation, Illinois workers and their families who are looking for work injury compensation may also have grounds for a personal injury or wrongful death lawsuit against a third party, especially if the machinery involved in the accident was unsafe or defective. If you have a job that requires you to work at a computer screen, use a mouse, lift heavy boxes, operate the levels on heavy equipment or lift and twist to operate specific pieces of machinery, you run the risk of developing a repetitive motion injury that could result in a workers’ compensation claim. While not all claims are approved – an Illinois toll worker’s claim for workers’ comp for repetitive stress was denied after it was determined that the injuries, while present, were not related to the worker’s daily job duties – repetitive motion injuries are among the most common suffered by workers. Based on statistics from the Illinois Workers’ Compensation Commission, guards at the Menard Correctional Center, a facility located in southern Illinois, have been paid more than $1.5 million in workers’ compensation benefits since 2009 for repetitive motion injuries to the elbow, wrist, and hand. Settlements for injuries – which were caused by daily activities including locking and unlocking handcuffs – ranged from almost $22,000 to just over $119,000 to cover surgeries, therapy and lost work. So, who’s most at risk for repetitive motion injuries? Office workers, railroad workers, storeroom employees, butchers and meatpackers, chefs, assembly line workers, musicians and housekeepers are all at risk of developing repetitive stress injuries, caused by performing the same task, using the same motions, over and over again. While repetitive injuries are hard to prove, having the right attorney – a lawyer with experience in workers’ comp cases who can line up expert witnesses to help prove your case – can make it easier for your Illinois workers’ compensation claim to be approved. Despite a 2014 order in Illinois that allows employers to take out orders of protection against workers in what are essentially the equivalent of restraining orders, workplace incidents of violence continue to result in a growing number of on-the-job injuries and deaths in the state each year. Because of the added risk factors, Illinois has a law addressing workplace violence in healthcare settings that have put into place specific protocols to provide a safe and secure environment for patients, employees, and visitors. The reporting of violent acts. In addition to hospital employees, workers at schools, banks and convenience stores as well as truck drivers are at a high risk for workplace injuries in Illinois. Acts that interfere with an employee’s ability to do his or her work. Employers are required to provide employees with a safe working environment, but many fail to consider prevention programs for potential violence in the workplace until it is too late. Companies could take cues from the hospital and school protocol to ensure that workers are better prepared for potential violence at work. While not all injuries that occur as a result of workplace violence fall under the category of workers’ compensation, having an experienced attorney at your side can help you determine if your situation is worth filing a claim, and can secure the funding you deserve to cover your expenses, including lost wages. 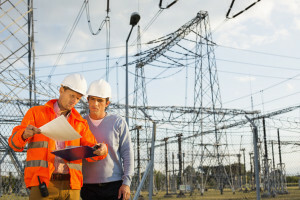 While linemen for power companies face the biggest risk of being electrocuted or suffering electrical shock on the job, that is not the only occupation at risk for electrical incidents. Electrical accidents can happen when workers on construction sites encounter electricity, if electricians have an accident on the job or if the equipment is somehow defective, causing a worker to be electrocuted while using tools. According to the U.S. Centers for Disease Control and Prevention, the four most common types of electrical injuries include fatal electrocution, electric shock, which can lead to a wide range of disabilities, burns, scarring, and disfigurement and falls that occur after the employee comes into contact with electrical energy. While safety protocol and regulations are in place to prevent such incidents, accidents happen, whether it is the fault of another or a problem with safety practices, such as wires and cables that are not properly insulated, putting workers at risk. Electrical accidents can be severe, and potentially deadly. Such injuries can require years of therapy, rehabilitation and other medical expenses, including prescription medication. While electrocutions can happen anywhere, if an electrocution injury occurs at work while a worker is on the job, workers’ compensation may cover the costs of not only health care but also lost wages and potential pain and suffering. 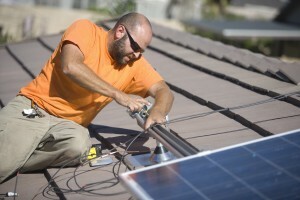 Be sure to get in touch with a workman’s comp lawyer who has experience with electrocutions. 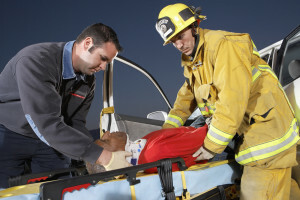 If the injury results in death, the family can file a wrongful death claim in order to be compensated not only for immediate expenses but also for the loss of companionship, the loss of emotional and financial support and the loss of parental guidance if the employee involved in the fatal accident was a parent. According to statistics, more than a quarter of all workers’ compensation claims are the result of handling of hazardous material. While most employers train their workers on proper handling techniques, accidents can still occur. A toxic chemical is a substance that causes harm when it is inhaled, consumed, or comes in contact with a worker’s skin. Toxic chemical accidents aren’t limited to factory workers. 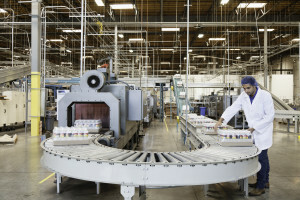 Any type of employee – an office worker, a construction worker, an employee in retail or a food prep worker – can be injured due to exposure to toxic chemicals. According to the Occupational Safety and Health Organization (OSHA), employers whose workplaces require the handling of hazardous materials are required to have “labels and safety data sheets” for all workers who may come into contact with such chemicals, and must provide training for the appropriate handling of such chemicals, along with the risk factors associated with coming into contact with them. Still, accidents happen. If you have been injured on the job due to exposure to a toxic chemical, you should contact an experienced workers’ compensation attorney as soon as possible to guide you through the process. Because it can take years for some injuries to manifest themselves, it’s important to have a legal team on your side to protect your interests and recover the funds you’ll need to cover the costs of your care, lost wages, and other expenses. 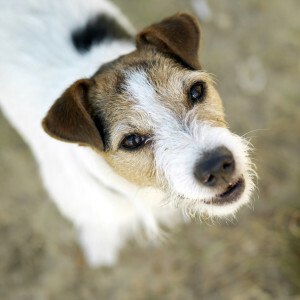 Of the five million people who suffer a dog bite each year, many of them were on the job when the injury occurred. While dog bites might not be the first workers’ compensation injury that comes to mind when thinking about the most common claims filed in Illinois, dogs are on the mind of nearly every delivery driver, postal worker (about 5,900 postal workers a year sustain dog bites, and Chicago was one of the top four cities were dog bites occurred) or home health care worker who has encountered a protective canine when making a stop to deliver a package or help someone with therapy following surgery. Dog bites can lead to serious injuries resulting in scarring, nerve damage and infection and can also be the source of emotional damage. And under most laws, those who are bitten by a dog while on the job can often file both a workers’ compensation claim with their employer as well as a personal injury claim against the dog’s owner, which will likely be covered by the dog owner’s insurance company. That the dog caused the injury in question. That the defendant is the owner of the dog. That the injured person did not provoke the attack. That the injured person was acting in a peaceful manner when the injury occurred. That the injured person had a legal right to be at the place where the injury occurred at the time of said injury. If you suffered a dog bite in Illinois while you were on the job, it’s important to contact an experienced attorney who can guide you through the complex process of filing not only a worker’s comp claim but potentially a personal injury claim as well to cover pain and suffering. Businesses across the country are cutting back on staff in order to save money, but that doesn’t mean that the workload is lessened in any way. And if everyone is working harder than ever to try to make deadline or quota, it can push some employees past their physical or mental limits, leading to exhaustion. In the workplace, exhaustion can be extremely dangerous. “Studies show fatigue creates long-lasting changes to one’s ability to think and function well during the work day,” says Thomas J. Balkin of the National Sleep Foundation. When fatigued, workers often experience impaired judgment, slower reflexes and a delayed response to emergency situations. If you’re behind the wheel of a vehicle (a big rig racing to get to a delivery site on time or a forklift transporting materials from one area of a factory to another, for example), the danger can be deadly. For workers operating machinery, a delayed response can lead to serious bodily harm either to oneself or to another. If someone is pushed — or pushes herself — beyond reasonable limits to stay on top of workload, the results often are physical and mental exhaustion. This translates to impaired judgment, slower reflexes when operating machinery or heavy equipment, a delayed response to emergencies and inattention to details and instructions. Rotate workers often during shifts. Those who work long hours performing the same task are more prone to fatigue. Moving from one job to another can help prevent complacency that can lead to injury. Establish longer break periods. Employees who work long shifts require time away from work. Some companies have places were exhausted employees can take a quick nap, which can rejuvenate them enough to ensure that the rest of the shift is worked safely. Consider split shifts for safety. Instead of enforcing 16- or 24-hour shifts, establish a traditional eight-hour shift with a few hours off in between to allow workers to refuel. Provide refreshments. Food provides essential energy, so employers requiring workers to be on hand for long hours should consider providing energy-rich snacks or pizza (a newsroom staple on election nights) to help create a safer environment. You may hate your job or are stressed to the max by the hours you’re working, but that doesn’t mean that you can file a workers’ compensation claim in Illinois. In general, Illinois is one of several states that do not cover mental health under workers’ comp, even if the stress from your high-pressure job builds up over time. Stress-related workers’ compensation claims might be covered if a single incident – your boss assaults you or you see a co-worker die at work, perhaps as a result of using machinery unsafely – causes anxiety, stress or post-traumatic stress disorder. And if your stress and anxiety have manifested itself physically, you may be able to file a workers’ compensation claim. For example, if yours is a high-stress job and you develop high blood pressure as a result, the costs to cover your medical care would likely fall under Illinois’s workers’ compensation coverage. High blood sugar caused by excess cortisol, the fight or flight hormone. When cortisol levels are elevated, the body naturally releases glucose to provide energy to run from danger. When the danger is a looming deadline from which you can’t run, however, that glucose lingers in the bloodstream, hiking levels and potentially leading to type 2 diabetes. Chronic headaches. Stress can lead to long-term pain. If conditions become chronic, it could fall under a workers’ compensation claim. Heart problems. If stress causes a heart attack or heart arrhythmia and it can be directly linked to your work environment, you could have a workers’ compensation claim in Illinois. Asthma. According to WebMD, stress is a common asthma trigger. If the two can be linked, the physical problem could create a platform for workplace stress to become the basis of a workers’ comp claim, despite the psychological framework. When we go to work, we don’t expect to be putting our health at risk, but that can happen when the job conditions result in a work-related disease. In order to qualify for workers compensation, the claimant must prove that his or her exposure was at a risk higher than that of the general public, and the exposure must have lasted for at least 60 days. Kidney problems caused by exposure to liquid coolants. Asthma worsened by exposure to certain chemicals or materials. If you’ve developed a disease that has been linked by research to your previous or current line of work, you may have a worker’s compensation claim. In order to determine if there is a link between your illness and your career, you need an experienced workers’ compensation attorney who understands Illinois law and can work through the complexities of workplace-related diseases. The right attorney will help ensure that you get the compensation you deserve, especially if you devoted your life to your line of work. If you willfully sign up for the company baseball team and become injured sliding into second base, your injuries will likely not be covered under workers’ compensation. If, however, your employer required you to participate in the company event, your injuries, despite being recreational, would be covered. Almost any activity can be considered recreational if it occurs outside of normal work activities but still occurs on the clock. The rise in team-building exercises – including getaway weekends – had led to a rise in recreational-related injuries, some of them sports-related, some of them not. In Illinois, the Taylorville Fire Department appealed a decision by the Illinois Workers’ Compensation Commission to cover the costs of a right ankle injury sustained during a 3-on-3 basketball game played at the fire station. The commission found that the injury arose during the course of the worker’s employment because the game was played while at the firehouse while the employee was on duty, unable to leave the station, the employee was asked to participate in the game by his shift supervisor and the employer encouraged the participation in sports and fitness. The Appeals court affirmed the commission’s decision. If you were injured as the result of a workplace-related recreational injury, you may be covered under Illinois’s complex workers’ compensation laws, depending on how the recreational activity came about. 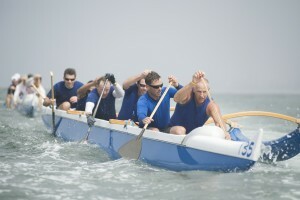 While the laws often blur the lines to protect employers, activities such as team-building recreational exercises are often covered under workers’ compensation because the activity itself is a benefit to the employer, who likely approached the event as one that would put an employee’s career in jeopardy if it was missed. If you are unsure whether or not your injury is covered, it’s important to contact an experienced workers’ compensation attorney to help you determine your rights and help you understand whether or not you can receive compensation for your injury. According to estimates, 30 million people in the United States each year are exposed to dangerous noise levels, leading to workers’ compensation claims reaching approximately $242 million a year. There are many occupations – manufacturing, construction and factory work – that are noisy enough to require hearing protection. Implement certain engineering and administrative controls. Provide free annual hearing exams to employees. Provide free hearing protection to employees. Provide training on not only the proper use of hearing protection but also the dangers associated with exposure to high noise levels. Perform evaluations of the company’s hearing protection program. Perform regular audits of the company hearing protection program. Keep thorough records of noise level monitoring. Still, a loud environment can lead to hearing loss, no matter the precautions your company takes. As a result, you may be entitled to workers’ compensation insurance benefits. While the Illinois Worker’s Compensation Act has not often led to favorable results for those who have suffered hearing loss, if a worker can prove that they have been exposed to industrial noise for a period of time long enough to cause permanent impairment, they may have a successful workers’ comp claim. If you are not sure if the noise levels at your place of work are hazardous, do the “arm’s length rule.” If you are an arm’s length away from a co-worker and you still have to raise your voice in order to be heard, the noise levels are potentially dangerous and could lead to work-related hearing loss. In order to qualify for workers’ compensation, hearing loss must be tested using an audiogram, which must show losses at the frequencies of 1,000, 2,000 and 3,000 cycles per second. Loss of hearing for frequencies above 3,000 cycles per second is not considered a disabling hearing loss. If you think you’ve experienced hearing loss as a result of noise exposure at work, it’s important to contact an experienced attorney who can guide you through the complex process and help determine if you have a workers’ comp claim. There are some days in Illinois that the heat is unbearable, especially for those who work outside. While heatstroke workers’ compensation claims can be difficult to prove – employers may attempt to place the blame on the worker if the worker is overweight or suffers from some other condition that would make working in the heat more dangerous than normal – if you do suffer heat stroke on the job, you’ll likely want to explore the possibility of worker’s comp. To be considered work-related, your heat stroke would have to be caused by or aggravated by your work or the conditions of your workplace, but if your heat stroke aggravated a preexisting condition, triggering a new injury, it would fall under the area of protection. Heat exposure safety training. 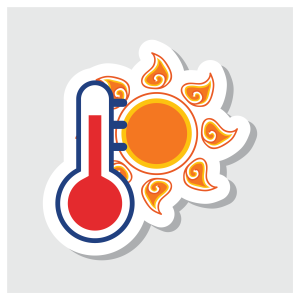 Employers must provide a written safety program addressing the dangers of outdoor heat exposure along with the signs of heat stroke and tips for preventing heat stroke. Treatment for heat stroke must be made available. If an employee shows signs of heat stroke or some other heat-related illness, they must be relieved from their post and provided shade, water and other things that reduce body temperature, such as ice packs. If you’ve suffered a heat stroke or other heat-related illness due to working in especially hot, dangerous conditions, you may be eligible for workers’ compensation insurance. Please consult an attorney to determine if your situation is suitable for filing a claim. While heat is a factor in Illinois, workers who are forced to work outside are at a bigger risk of hypothermia given the seemingly endless winters that are often accompanied by sub-zero temperatures. 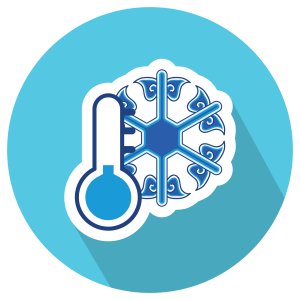 For those who work outdoors, hypothermia is a real risk, especially for those who are in the cold (or at work in a refrigerated warehouse or cooler) for extended periods of time. When cold, a body must work harder to maintain its core temperature, and the safety of internal organs comes first. 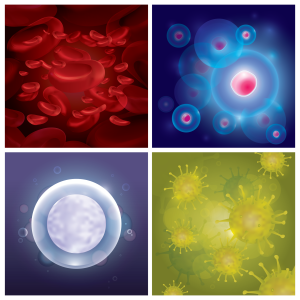 The natural response is to constrict blood vessels so that internal organs stay warm. This comes at the expense of the hands, arms, feet and legs, which become at risk of frostbite when the blood flow drops. Poor decision making (such as those who ascend Mount Everest and throw away their oxygen tanks at critical points in their journey, both due to cold and oxygen loss, both of which trigger diminished mental awareness). Hypothermia at any stage is a medical emergency, and the dangerous condition can lead to permanent damage or death. In addition to brain damage, if extremities go too long with reduced blood flow, the tissue will die, leading to amputations. The cost of care can include hospitalization, surgery, X-rays, MRIs, wheelchairs, medication, physical therapy and occupational therapy if you suffer injuries that will no longer allow you to perform your job. If you have experienced hypothermia while on the job, it’s important to contact an experienced attorney to help walk you through the workers’ compensation claims process so that you get the compensation you need to cover the costs of your care as well as wages lost as a result of the injury. Hypothermia can be extremely serious. If you file a workers’ compensation claim, you may have questions about your rights or you may be asked to sign something without understanding it. Don’t sign anything. Bring the document and your questions to a workers’ compensation attorney to ensure that you aren’t signing away your legal right to sue and to have all of your questions answered. Independent contractors are not always covered by workers’ compensation. While employers are required to carry workers’ compensation insurance, they are not required to cover independent contractors. Although employers are not required to cover independent contractors, many contractors choose to purchase their own workers’ compensation insurance policy. Independent contractors who work in high-risk jobs are most likely to carry the insurance. In some cases, hiring contracts may require independent contractors to obtain workers’ compensation insurance. Because independent contractor injury carries the risk of a lawsuit, many companies require independent contractors to carry the insurance as a stipulation of their contract. Still, in some cases, independent contractors carry the insurance on their own to cover them in the event they get injured on the job and are out of work. Workers’ compensation disability benefits do cover lost wages. If you have been injured at work and are unable to perform your job duties as a result of your injury, workers’ compensation benefits determine the amount of lost wages coverage you are eligible to receive. Coverage varies from temporary to permanent depending on the severity of your injury. 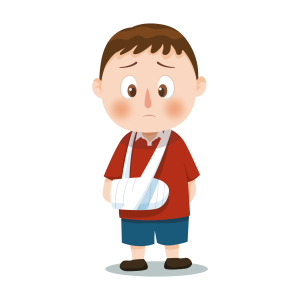 Employers are obligated to compensate injured workers for the amount of time they are off work due to their injury. The amount of wages you receive depends on the coverage entitlements, state maximum and minimum rates, and the amount of time you have missed work. Although workers’ compensation serves as a form of income while you are unable to perform your job due to injury, it is not normally considered taxable income. Both the state and federal level regard workers’ compensation income as non-taxable. The only time workers’ compensation is considered taxable income is when an individual receives workers’ compensation alongside Social Security disability insurance or Supplemental Security Income. Workers’ compensation offset allows income to be taxed when Social Security reduces your disability payments to keep benefits below a certain threshold. The reduction of payments is the amount taxed. Workers’ compensation does not cover pain and suffering. Those collecting workers’ compensation are entitled to medical care for the injury, replacement income, retraining costs, compensation for permanent injuries, or benefits to survivors for those who are killed on the job. Once a person collects workers’ compensation benefits, they are not able to sue their employers for injury or illness. They are also not entitled to compensation for pain and suffering. Carpal tunnel syndrome is covered by workers’ compensation insurance. Carpal tunnel syndrome is considered a repetitive-stress type injury. If it is determined that the injury is directly related to work-related tasks, employees can take advantage of workers’ compensation benefits for carpal tunnel syndrome. Workers’ compensation benefits are determined based on a number of factors. The amount of pay you receive from workers’ compensation varies from state to state. Pay is also determined on the severity of your disability, the amount of time you are out of work, and whether it has been determined that you can return to work and what (if any) limitations you have. Temporary total disability covers regular time loss compensation benefits if you have been unable to perform your job duties as a result of your injury or illness. The benefits pay out a percentage of your daily wages depending on the regulations of your state. Workers’ compensation also covers medical bills, compensation offered for permanent disabilities, and money awarded to families of those whose injuries have resulted in death. The state of Illinois awards workers’ compensation pay for reasonable medical care vocational rehab, permanent partial or total disability pay, and death benefits. Temporary disability benefits are determined by paying out 66 2/3% of average weekly wages up to a maximum benefit of $1463.80. The minimum disability is based on employee’s average weekly rate and the number of children they have and whether or not they have a spouse. Minimum benefits can be found on the Illinois Workers’ Compensation Commission Resources page. Maximum and minimum disability benefits are updated every six months. There are several reasons that workers’ compensation can and may be denied. Regardless of what your doctor may say when it comes to surgery, workers’ compensation claims for surgery must meet three criteria. 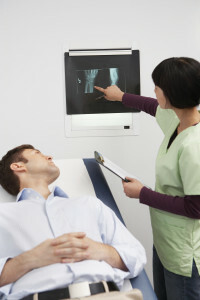 In order for surgery to be approved, you must prove the need to be a direct result of a workplace accident, surgical treatment must be likely to cure the condition and allow you to return to work, and it must be administered by an authorized provider of your employer’s panel of physicians. In many cases, the worker’s compensation insurance company will require you see another physician, for an independent medical exam, to determine necessity. This can be a sign that the insurance company is looking to deny your surgery and you should discuss this with an attorney before you agree to the exam. Workers’ compensation does have the right to drug test those submitting claims. The drug test must be given within eight hours of the injury to be used as a defense against awarding workers’ compensation benefits. If not, it is the burden of your employer to show that drugs were in your system and were the cause of your workplace injury. Drug testing laws vary by state. It’s important to note that a positive drug test does not automatically rule out your chances to receive workers’ compensation benefits. There are many cases where workers’ compensation is denied. If your claim has been denied, it is important to determine the reason for denial. In many cases, workers’ compensation is denied in error and those submitting claims have the right to appeal the decision. An injury was not reported to the employer within time limits as determined by state law. The initial claim was not filed by the claims deadlines as determined by state law. The employer has disputed a claim and the facts surrounding it. Some injuries are not compensable, like stress-related injuries. No medical treatment was obtained. Insufficient evidence that the injury or illness was work-related. Workers’ compensation payments can stop under certain circumstances. In some states under certain circumstances, you must be provided with 30 days’ notice. One of the most common reasons compensation payments stop is because you return to work or return to a lower-paying position during the course of recovery. If your worker’s compensation benefits payments have stopped, and you believe you are still entitled to benefits, it is important to call a workers’ compensation attorney before you take any further steps. Just as employees have right, so do employers. In the case of worker’s compensation, employers have the right to be heard. If you think an employee is scamming your business or the insurance company, you have the right to dispute a claim. Each state has their own process for disputing a claim. If a claim is awarded, you still have the opportunity to dispute the claim. Employers can file a dispute form or attend a hearing to fight a workers’ compensation claim. In some states, you may be required to go before a judicial panel or work with an arbitrator assigned by the state. The decision to hire a lawyer for workers’ compensation depends on the severity of your injury and the actions of your employer. In some places, workers’ compensation claims can be handled on your own. But, even in the simplest cases, you should consult an attorney to discuss the details of your case. There are many cases where hiring a workers’ compensation attorney is almost a necessity if you want to win your case. If your employer denies your claim, if settlement offer doesn’t cover all lost wages or medical bills, and if your medical issues prevent you from returning to your job or performing work, you should definitely contact a workers’ compensation attorney. Additionally, if your boss retaliates against you for filing a claim or does not pay your benefits on time, you should speak with an attorney. Because workers’ compensation benefits can lower your Social Security disability payments, you should also contact an attorney if you receive these benefits. If paid under the Workers’ Compensation Act, workers’ compensation settlements are fully tax-exempt. In some cases, however, a portion of your benefits may be taxed. For claimants who receive Social Security disability insurance, Social Security may reduce its payment to remain within a certain income level. The difference of the reduction is taxable income. Workers’ compensation settlements can reduce the amount of your Social Security benefits. Workers’ compensation benefits are added to your Social Security benefits. If the total amount of these benefits exceeds eighty percent of your average current earnings, the excess is deducted from your Social Security benefit. You cannot receive workers’ compensation benefits and unemployment at the same time. Because workers’ compensation reimburses you for wages you are missing while unable to work because of your injury, you are technically not unemployed. Trying to collect both workers’ compensation benefits and unemployment may affect the credibility of your workers’ compensation case. You can receive workers’ compensation for a back injury. In fact, the back is one of the most common body parts injured at work. Workers who claim workers’ compensation for a back injury are very likely to receive some compensation. In many cases, back injuries take longer to resolve, so back injuries often receive a high amount of workers’ compensation benefits. Initial denials are common for back injuries, but additional steps often help secure benefits. Your rights in regards to losing your job depend on the type of employee your employer has classified you as, an at-will or contract employee. At-will employees can have their employment terminated even if they are on workers’ compensation. Some legal reasons an at-will employee may be terminated are for previous poor work performance, the need for layoffs, company restructuring, and any other legal reason. But, if you feel you have been terminated because you filed a workers’ compensation claim, you may have the right to file a discrimination or retaliatory termination lawsuit. Contract employees have different rights. Under contract, most employees cannot be terminated unless their contract has a provision that allows termination if an employee is unable to work for a given time period. Injured workers in the state of Illinois must rely on workers’ compensation benefits if an injury occurs on the job. Workers’ compensation benefits are awarded in exchange for relinquishing the right to sue an employer. Workers compensation cases typically need to be filed within three years from the date or day the injury occurred. Or, you may need to file within two years of the date the employee received their last work comp benefits. Repetitive trauma cases can vary. Please make sure you contact an attorney to determine your date as it can differ. There are, however, three instances when an employee can sue an employer for workers’ compensation. 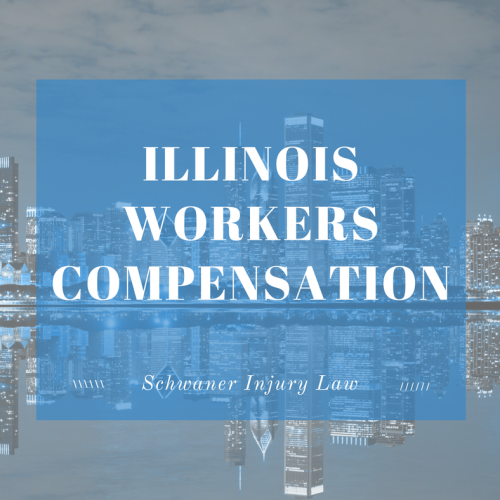 If you do not qualify as an “employee” under the Illinois Workers’ Compensation Act, you may sue under theories of negligence. If your employer does not have workers’ compensation insurance, you may sue in civil court. And, if the employee was intentionally harmed by the employer, you may pursue a tort claim. Employees receive one of two types of settlements when awarded workers’ compensation benefits. The first is called a structured settlement. This awards the employee a set of smaller payments over a period of time. Lump-sum settlements are sometimes offered to employees. In lump-sum settlements, employees elect to give up certain rights in exchange for a one-time, lump-sum payment from the employer or insurance company. One of the benefits of workers’ compensation to employers involves the right to sue. Employers pay workers’ compensation insurance to cover employee injuries on the job. As a result, employees who are injured must go through the workers compensation process and are not able to sue employers in court. Workers’ compensation benefits generally protect employers from being sued for negligence. The only cases where you can sue your employer for negligence is if they do not have workers’ compensation insurance or if you can prove that they purposefully did something to harm you. There are many reasons an employer may choose to deny a workers’ compensation claim. Employers may argue that an injury did not occur at the job, was a result of horseplay, or previously existed in the claimant’s medical history. If you have had your workers’ compensation claim denied, you do have the right to appeal. If you are navigating a workers’ compensation claim, you may be able to represent yourself. There are, however, several instances where you should definitely hire an attorney. Many workers’ compensation attorneys will offer a free consultation before you hire them to work your case. Treat your free consultation as a job interview for your attorney. Bring a list of questions with you to your meeting. Find out how much experience they have and how many workers’ compensation claims they have worked and won. Go over details specific to your case to make sure your attorney can handle any special details. Also, make sure you feel they will handle your case to the best of their ability and you feel you can trust them to follow your best interest. Workers’ compensation lawyers in Illinois work on contingency fees. This means their fees are based on the amount of your settlement and are not paid unless they win their case. The Illinois law limits the amount an attorney can charge you for their services. In Illinois, like in many other states, your lawyer cannot take more than 20% of your settlement. They can also not take more than 20% of seven years of your permanent total disability benefits. Once you agree to have an attorney represent you in the state of Illinois, their legal fees must be approved by the Illinois Workers’ Compensation Commission. Any costs incurred to pursue your case will be paid up front by your lawyer and taken out of your settlement at the end of your case if they are approved by the commission. There are several important questions you should ask your workers’ compensation lawyer. Before you agree to hire your attorney, ask if they can handle workers’ compensation cases. Have them tell you a little about their experience and track record. Ask if you should expect to work directly with them or if they will pass the work along to another attorney or one of their paralegals. Find out how you will stay informed about your case. Ask about their fees, whether they work on contingency fees, and what percentage they charge. Also, ask about what you can expect for litigation costs. Finally, see what they will need from you going forward and what they expect of your case. If you find an attorney you feel comfortable with, you can be even more sure to trust the outcome of your case. 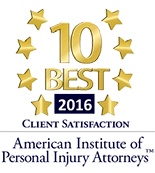 Most personal injury attorneys will provide you with a free consultation for your workers’ compensation case. In the state of Illinois, attorneys work on a contingency fee. This means that they will not charge you unless you win your case and they will take a percentage of the settlement when the case is over. The Illinois workers compensation contingency fee is 20%. The attorney will come to an agreement with you about the contingency fee and must have it approved by the Illinois Workers’ Compensation Commission. Therefore, your initial consultation and advice should be free. If the attorney feels they can win your case, they will offer to take it on and work hard to fight for you. Have you had any of the workers compensation injuries listed above? Get in touch with our workers compensation team today. Contact us today to get your Illinois Workers Compensation Claim filed and begin the process of recovering compensation for your work-related injuries. Have any questions about a work injury that occurred in Illinois? Contact us today for a free consultation. Published 07/21/2017. “After I was injured at worked with a severe injury, I needed legal representation. I did my homework and scoured the internet for a lawyer that specialized in workman compensation. 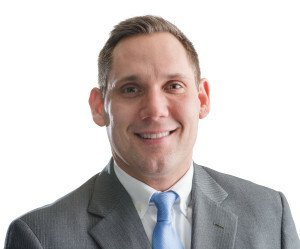 After reading several reviews from law journals as well as clients, I decided to make an appointment with David Schwaner. Davis is a great lawyer and secured me the settlement that I deserved but more importantly David is a tremendous human being. David and I were more concerned about me receiving the proper medical and rehabilitation treatment that my injury required, honestly compensation was the last thing on my mind.